This year, my boyfriend and I are spending our first Christmas together under the same roof. Since we weren't stuck with a Christmas tree that we had bought from previous years, it was so fun brainstorming how we wanted to decorate. 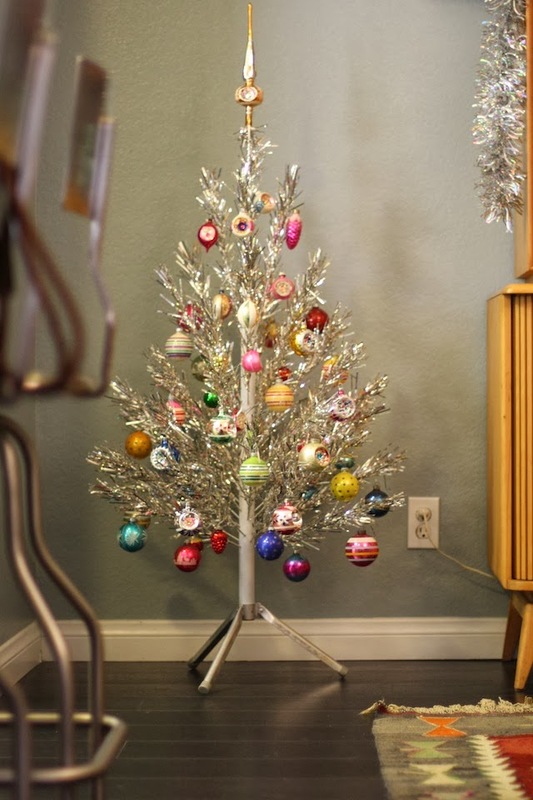 We knew we always wanted a aluminum tree and to decorate with lots of other vintage Christmas knick knacks. But boy was I so happy I did... I didn't know how fun (and pricey!) it would be to buy vintage ornaments for our tree! Its like shopping for a new piece of jewelry! Each vintage ornament is just that pretty! 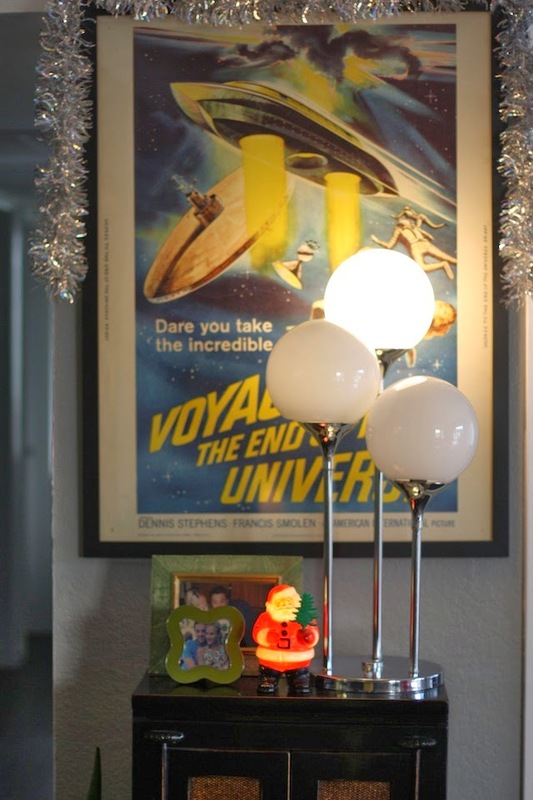 Shopping on Etsy and Ebay became an addiction and since I bought my tree in the middle of September, it gave me lots of time to fuel my craziness. 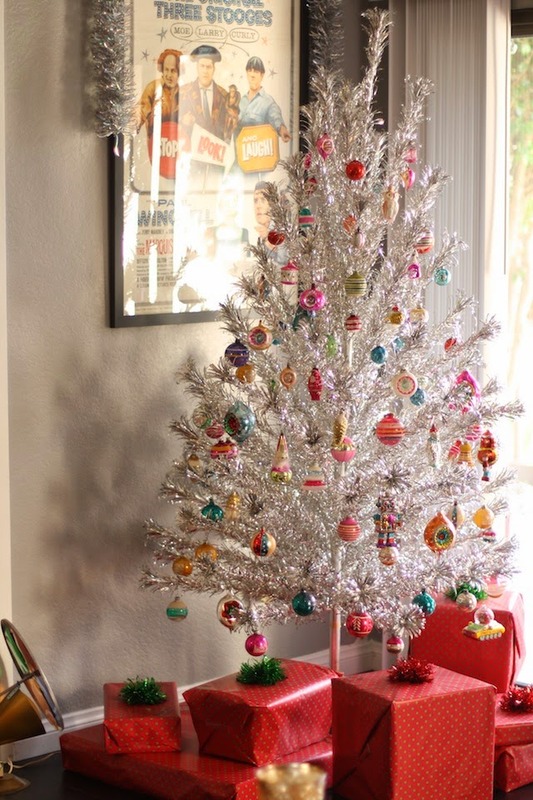 After I decorated my big tree, I decided I wasn't done ornament shopping so I bought a 4 foot aluminum tree. I decorated that and I now can finally say, I am done.... (until next year). I have officially gone 'Christmas crazy' and I don't care. I just love this time of year.